It’s time for me to open up and reveal something about myself. I must confess, now that I’m about to write out the words, I’m feeling a little self-concious. But there is no turning back now. Accept me or reject me, the choice is yours. I never really knew this was an issue for me. I embraced my circumstances as something natural. It wasn’t until I read about it in a book that I wondered, “Am I really that different? 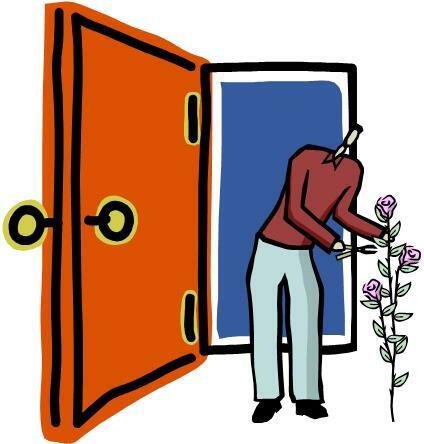 Are there others out there who are like me?” So, I’ll take a deep breath and come out of the proverbial closet. I experience nature both ways. I am bi-zonal. When I began gardening, I never gave my zonal orientation a second thought. Seasons changed. Temperatures fell. Temperatures rose. It was a cycle with which I felt completely comfortable. Over time, however, I began to notice on my drives to and from work that things were not what they appeared to be. For example, each spring I noticed the greening of wild vines and yellowing of forsythia buds along the highways near work — but near home, everything remained barren. I discovered the truth by accident when I spotted a very detailed Cold Hardiness map. There, staring at me in a rainbow of colors, was the reason for my conflicted feelings. The truth. I work in Zone 7 and I live in Zone 6. Long Island sits at the southern tip of New York State, jutting out into the Atlantic Ocean (unlike that misplaced island randomly floating in the map to the left). As a child, I was all Zone 7 — growing up in a town along the island’s south shore. That’s the seasonal cycle with which I was familiar, and I assumed (based on other Cold Hardiness maps) that all of Long Island fell in that zone. But almost 24 years ago, I met Joe and moved further east and there were subtle differences in the weather. We often received more snow in the winter than my family — but I chalked it up to the fact that we lived in the shadow of a hill which is the highest point on Long Island. Not Himalayan or Alpine, but a definite hill. During the commuting drives, however, the differences were visible. Spring was more drawn out. In autumn, leaves began to change color at home before they changed at work. Something else had to be happening here. That something else was Zone 6. Somewhere along my commute, I crossed into another zone — some may even say “The Twilight Zone.” There was no parade, no welcoming sign, no sonic boom, no Rod Serling. But when did this other zone appear? Did Long Island always have two zones? Did Zone 6 disappear in the printing process because Long Island was narrow? Or maybe some climatologist moved in next door and made the same commute as me and noticed the difference between home and work? I may never know the answer to these questions, but embracing my bi-zonality has been heartwarming. Even my family, friends, and coworkers have come to accept it — especially when I tell them that Zone 6 received more snow than their Zone 7 neighborhoods. Now that I live a bi-zonal life, I wouldn’t want to change it. It’s fascinating to be able to see the coming and going of the seasons, especially the seasons of change. They tend to linger. And as a gardener, there is nothing like the rush of seeing the first flush of spring green in Zone 7 and my preparation for it as it commutes to Zone 6. And that in itself is reason enough for a parade. Kevin, I enjoyed your coming out. You might have to do it again when climate change changes you to zone 7. Cheers, from my colder-than-surrounding-areas microclimate in close-to Long-Island-Sound Connecticut. Lee, many thanks. My hope is that when climate change happens, and my central Long Island home is waterfront, I will be able to plant palm trees. Now that would be a post! Be well. I know how confusing this can be, until you finally learn the truth and embrace it. You see, I live in zone 8. 30 miles West is zone 7, 30 miles South is zone 9. Strange but true. I have to really check the tags on plants when purchasing them – I want them to be able to live in zones 7 through 9 since I get a little “spill-over” (warmer or colder) from time time. Great post. I think this affects more of us than most people realize! In garden, all things are possible. So glad you enjoyed the post. Cheers! Great post. I concur that this probably affects more people than realize it. We moved two years ago and trying to figure out our zone and climate conditions has been difficult. We’re in the valley between a hill and the ocean so our weather is often quite different from those further inland just a few kilometres away. A gardening friend made the same comment to me recently that her garden in the woods is colder than mine and I think she’s right, even though we’re not that far away. My garden is a 7a but the shrubs in front of my window-film treated bay window would probably argue that they live in zone 10. Thank God they can’t talk!! I’d be in for a tongue lashing!! G-d help us if plants start to talk. I cringe at what they might say! Even within my own yard, I have learned that each area has its own special demands and needs. Thanks for your post – I never really understood the Zone lingo, coming from Africa, so this was an education. Hi, and thanks for commenting. Glad my Zonal issues were helpful — I guess when you live in an area where cold weather is common, you have to live by the colors on the map. Be well! As a fellow bi-zonal, I totally get this. How many times have we left horrible winter weather conditions to arrive at work where all looked normal?? It’s very strange to explain to coworkers that we just left behind 6 inches of snow to arrive at work, where there was only a dusting. I never knew this. I live in NYC and East Hampton. The changes in leaf color really pointed this zonal changes as I commuted between the two this week. Hi, Jeff. That’s quite a commute — and a lot of change between zones. Sometimes, it must feel like two very different worlds. Thanks for commenting. So funny. I too was in zonal denial! I moved house – just a 30 minute distance and barely 100′ higher in elevation, but I’ve dropped a zone, and got glacial till to boot! I used to feel pity for such gardeners…. 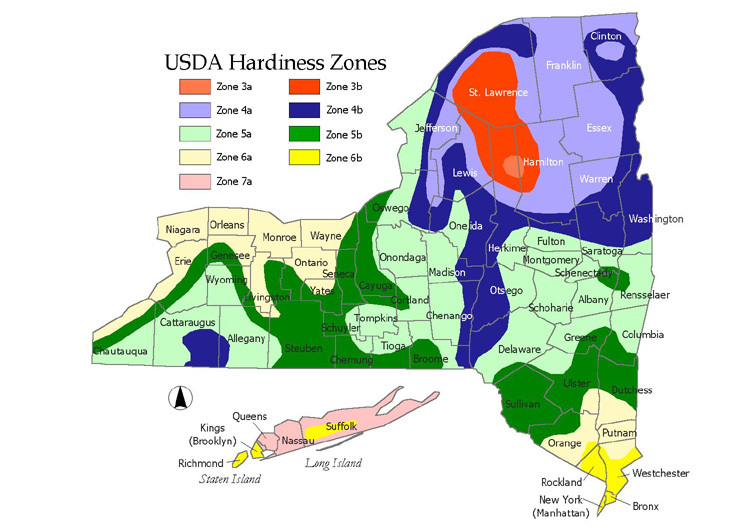 The zonal experts should probably — if they haven’t already — a topographical Cold Hardiness map, so gardeners can see their zones horizontally and vertically. Ah, the trials and tribulations and science of gardening. O! what a great post…made me smile..I very recently lost my garden Companion of 15&1/2 years, Natasha the Wonder Cat, as menioned in my blogs…so to make me smile is quite an accomplishment. Thank you..
Lilith, I’m glad I made you smile. Losing a pet is one of the toughest things to go through — hang in there, and know that there are people all over the world who are keeping you in their hearts. Loved your post! It made me laugh! Glad to hear that you enjoyed (and laughed) at the post. I think we can all be considered guilty of unintentional planticide, but we could beat the charges with a plea of zonally impaired. Hi there, I live in Malta, a tiny island in the Mediterranean and we certainly don’t have zones. I never gave this a second thought but after reading your post I must admit i think we are missing out! The only difference we see in our commute is green or cement. We also tend to have two seasons, summer and winter with not much change in between so I guess we are bi-seasonal. Autumn and Spring tend to last a month which is a shame. Climate change does have an effect however, we get crazier weather as time passes, rain storms in summer, hot winter days, you can never guess what nature will throw at you these days. I’ve only discovered gardening two years ago and it took me a number of fatalities to find the right plants. Looking at my container garden now I realise I’ve taken the easy way out and solved these issues with succulents. They are hardy, can stand any weather and require little attention. (cheat). Graziella, thank you so much for visiting and commenting. It’s approaching the freezing mark here, and I must admit, I the climate on your uni-zonal island. I also agree that weather seems to be changing — or are we also witnessing a natural cycle? I am not a climatologist by any means, but subtle changes do seem to be brewing. And, by the way, there’s nothing wrong with succulents — every plant has a place at the garden table. Cheers!